The main purpose of an engagement session is to document the memorable moment of a relationship going forward. After reading my Tips for Engagement Sessions article, many couples are still confused about where to do their couples photo session. 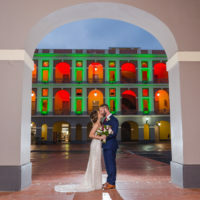 So after the great success of my previous #WeddingWednesday article on Wedding Venue ideas, today I’m sharing ideas on engagement session locations in Puerto Rico! This styled engagement session was done within the residential common areas of Dorado Beach East. Maybe you met each other while bar hopping, or you continuously stumbled upon each other in your College library. Maybe a mutual friend set you during a beach day outing. Or maybe your first date was going to the beach… Think about those places! Maureen & Rocky even brought their furbaby to a stroll -or rather a run- on Capitol Beach, Old San Juan. Anything from couch surfing to museum visits to dining out to dancing. I want to get to know you better and scheduling your engagement session doing something that represents you as a couple will really get your personalities showing in your photos. Nashalie & Humberto wanted to just go out on what would be a normal date on Calle Loiza, one of their favorite hangout spots. Many destination clients explore some tourist attractions with me on their engagement session day. Use a cool hiking spot that keeps showing up on your Instagram, or an extreme sport you’ve never tried before. It would be fun to capture some “normal” portraits and also your expressions as you try this new thing. Lauren & Walliot had no clue on where to go for their engagement session so they asked what new place I wanted to shoot at. Right away, I said: Finca de Girasoles (Sunflower Farm). Sometimes you just need beach, beers and bikinis. I took Eva & David to Steps beach, one of my favorite spots in Rincon. WHERE would be the best backdrop? Now that you have an idea of what makes you YOU, it’s time to settle on a backdrop. What do you want to have as surroundings? Think outside the box! Jessica & Johnathan opted to do their sunset engagement session in their hotel surroundings, in Condado Beach. The best-known of these in Puerto Rico is Old San Juan, but for every of its 78 towns, theres a city center with historical architecture, each with its own vibe and idiosyncrasy. I had an amazing time exploring Old San Juan with Tosha & Joy! Classic, but always timeless. I love many urban settings in the San Juan area such as Santurce, Miramar, Rio Piedras, and Calle Loíza. They offer lots of options and backdrops: explore shops, have some coffee/tea/beers, and all kinds of arts. Using street art in Calle Loíza as the perfect background for Nashalie & Humberto's lifestyle engagement session. We did a small roadtrip through some remote streets in Guanica for Dinelisse & Edwin's anniversary session. White sand, black sand, calm waters, rough waves, cliffs… Puerto Rico has it all. I’m a #BeachBaby, so just let me know where and when, and I’ll come up with the best suggestions. For Dini & Edwin's -first of many- photo sessions, they almost kill me of a heart attack walking along the cliffs of Cabo Rojo in high heels. We celebrated Patrick & Joshua's engagement taking happy photos at the St. Regis Bahia Beach Resort. Thinking about making champagne mandatory for my photo sessions after this one. Puerto Rico has El Yunque Rainforest, A Dry Forest in Guanica, and Pinetree Forests in Cayey. Maria & Omar went on roadtrip with us all the way up to Adjuntas, where we did a small hike to Puente la Hamaca, and then stopped for photos near a lake. I love gardens! There’s a variety of them: either private, japanese (like the one in Ponce), or botanic (either in Caguas or Rio Piedras), garden backdrops are some of my favorite to shoot. Deborah & Jonathan shared a beautiful, sunny day with me at Jardín Botánico de Caguas. I hope that these suggestions help (and not confuse you more) in your decision on where to have your portrait session done. I love anything that adds variety and fun to my work, so please don’t EVER feel shy to ask for something different. I’d love to be there! Did I miss something? I’d love to update this blog post with your ideas! On the next #WeddingWednesday, I’ll be talking about wedding timelines! 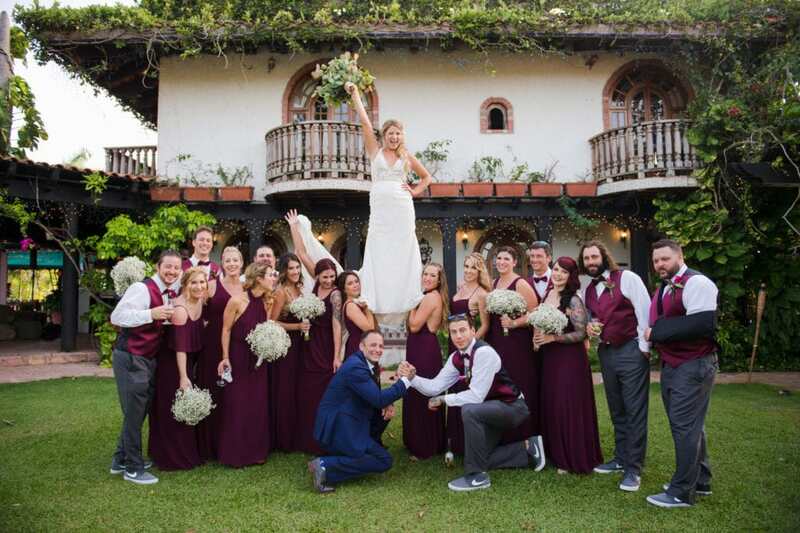 And why they can make or break your wedding photos! See you soon!